One of the I-153 (alias I-15ter) prototypes photographed during thу winter of 1938-9. This M-25V-powered aircraft was a production prototype, and the radio masts on the starboard wing leading edge and tailfin, and bomb shakles beneath the interplane struts, are noteworthy. 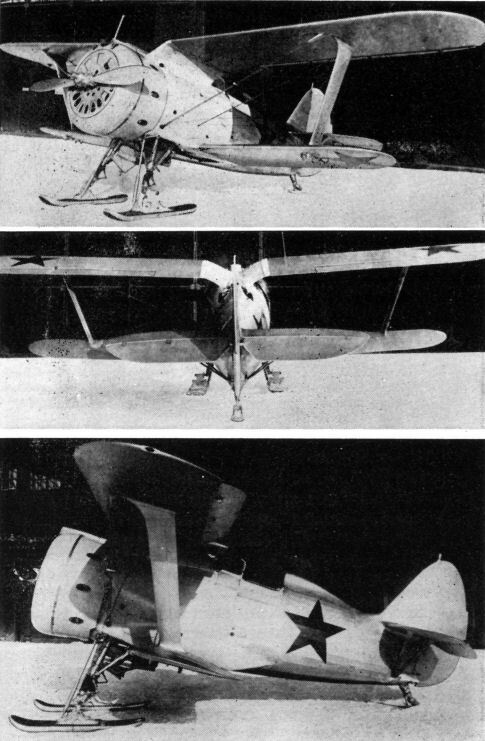 A standard production M-62-powered I-153 on skis. This aircraft was doped high-gloss forest green but the engine cowling remained natural metal and lacked the usual adjustable cooling shutters. 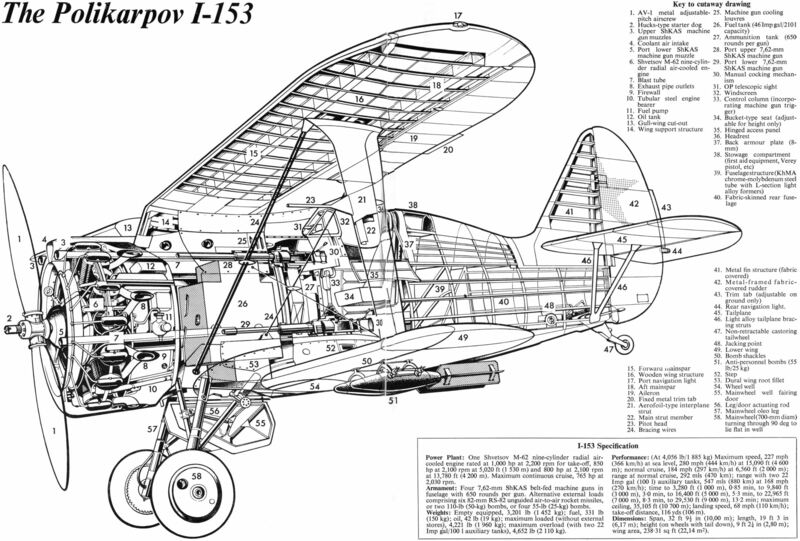 The I-153V (also known as the I-153GK) employed in 1939 for the testing of Aleksei Shcherbakov's pressurised cockpit. An M-62-powered I-153 that had crash-landed at its base after combat during the opening phase of Operation "Barbarossa" (small-calibre bullet holes can be seen immediatelly aft of the engine cowling and in the lower wing/fuselage fillet) and was subsequently found by German forces when the airfield was overrun.